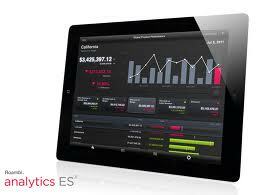 StatSlice is a Partner of Roambi, the gold standard for delivering mobile business intelligence. Given the increasing demand for mobile business intelligence, StatSlice has invested in this exciting new software company by ramping up a consulting group with the necessary skills to assist Roambi customers with implementation, support, and training services. Roambi is a solution geared 100% to the iPad and iPhone, and this unique approach shows impressively in both visual and interactive capabilities. Recently featured in Fast Company, the Wall Street Journal, Wired, Forbes, and Fortune for its focus on user interface and user experience, Roambi is redefining what it means to access business intelligence on the go. Roambi Analytics takes data from anywhere and transforms it into a simple, engaging, and intuitive experience that helps you understand your numbers. 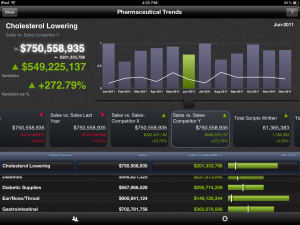 Roambi Flow facilitates publishing of rich, multi-touch publications that let you surround your analytics with context. A cloud-based deployment model with subscription pricing. Contact us for more information, or visit Roambi to download a free trial version.